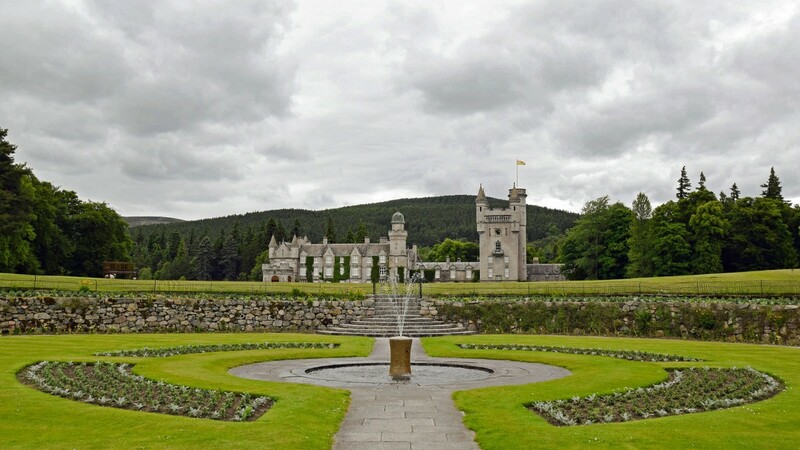 This grand tour of Scotland is a classic road cycling tour, connecting the Highland capital of Inverness to the Scottish capital of Edinburgh. Riding some 230 miles (370km) on quiet and spectacularly scenic roads, you will experience an incredible range of trip highlights showcasing the best of Scotland’s natural and cultural heritage and warm hospitality. From visiting the Royal Lochnagar Distillery, to a guided tour of the ‘most beautiful’ castle in Scotland, this trip will leave you wanting for nothing. Leave the car and tour bus behind, safe in the knowledge that our guides and vehicle support will take care of you. With great accommodation and food completing the itinerary, join us for a cycling adventure that is grand in every sense. Welcome to The Scottish Highlands! Arrive at the Inverness airport. The group will be transferred to the hotel. Private transfers are available upon request. Time permitting you are free to explore Inverness at your leisure! Please read the following info to get ready to embark on your week-long cycling adventure! We balance great guiding and insights when you would like it, alongside the freedom to explore at your pace. At breakfast each day, you will receive a guide briefing. Depending upon your preference, you can choose to ride with your guide or simply follow the route notes and re-group at designated points along the way. Typically our clients really enjoy the insights our guides are able to provide into the nature, history and culture of Scotland. Throughout the day your second guide and support vehicle will always be close to hand to provide drinks, snacks and a friendly ride should you need it. The support vehicle will take care of all of your luggage transferring it from hotel to hotel each day. Each bike comes equipped with a Garmin Bike Computer loaded with the ride information and mapping for your trip, compact handlebar bag (with map case) to carry your daily essentials e.g. camera, snacks, waterproofs plus a saddle bag with spare tube and tire levers. On each trip we carry a wide range of spares to customize your bike to your requirements and to keep it running smoothly during the trip. This trip is for people who regularly enjoy cycling and may have joined a multi-day cycle tour holiday before. On this trip you can expect rolling and sometimes hilly terrain. You are comfortable climbing and descending steep roads as long as there are plenty of stops for photos! This morning, meet your guide and fellow cyclists for the week! We start the day with a trip briefing and bike fitting to make sure everyone is comfortable before we set off. 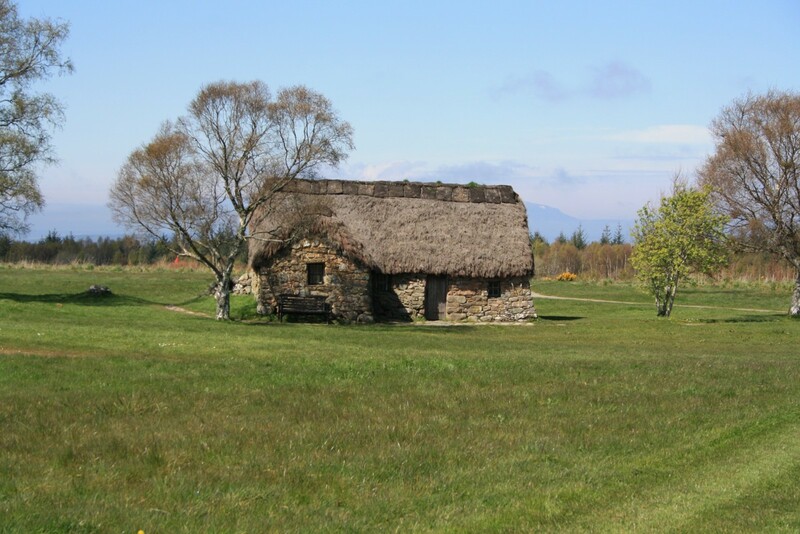 Our route quickly takes us out of the Highland capital and into the surrounding countryside soon reaching the historic battlefield of Culloden. From Culloden we head east on flat and fast roads, past Cawdor, where we stop for lunch at a great little tearoom and then into the Whisky Country of Speyside. An ancient military road dating from the 1700’s leads to our first overnight stop at Grantown on Spey. Today we ride from west to east across the UK’s largest and most spectacular National Park – Cairngorms National Park. There are a few hills to contend with today, but the exciting descents and superb views more than reward the effort! Our first stop is in the village of Tomintoul – the highest in the Highlands. It’s also home to one of Scotland’s best whisky shops, which is well worth a visit. From Tomintoul, it is a stiff climb over the Lecht pass. From the summit, the views over Royal Deeside are simply superb on a clear day. From here a long descent, one final climb and then a 10km run downhill delivers us to the lovely village of Ballater and home for the next two nights. We take it easy today with a short ride on Royal Deeside. This is one of the most beautiful corners of Scotland brimming with Highland history and culture. 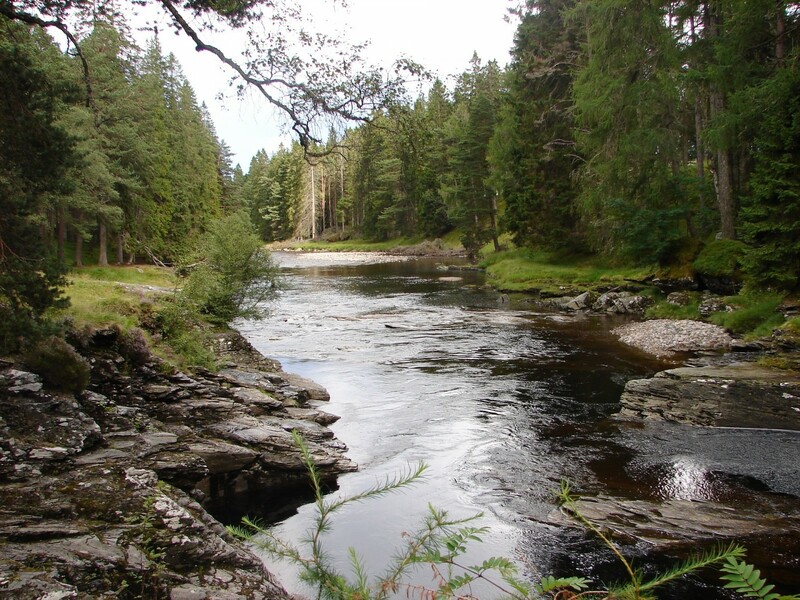 Our route will take us on a loop along and above the flowing River Dee, through the hills to Balmoral Castle and Lochnagar Distillery. Unless the Queen is at home(! ), we can visit the castle and grounds and follow this up with a distillery visit and tasting. All that remains is a very relaxed ride back to Ballater and dinner at one of the village’s excellent restaurants. Our journey continues east along the River Dee and then through the picturesque Forest of Birse on rolling and very scenic roads. An early lunch sets us up for the climb over the Cairn O’ Mount, a mountain pass that has prehistoric origins. A stone cairn at the top of the pass is said to be more than 4000 years old. It’s a challenging climb to reach the top but the vehicle is close by should you need it. Either way, there are commanding views from the summit. From here, we get our first glimpse of the North Sea and Scotland’s East Coast, which we will be following later in the trip. It’s all downhill from here – a superb 10 miles of fast riding all the way to our overnight halt at Edzell, Angus. This morning, we leave the Cairngorm Mountains behind, head south first to Kirriemuir and then on to Glamis Castle. 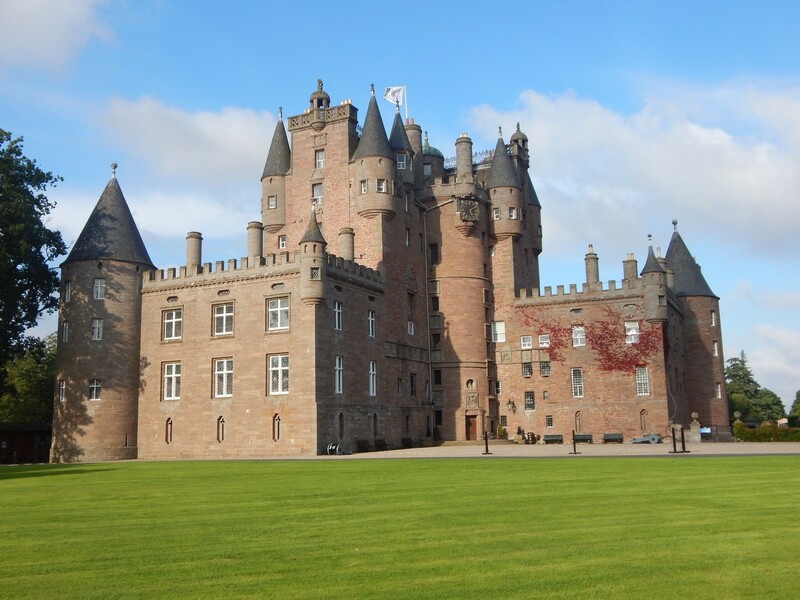 The ancestral home of the Earl of Strathmore for over 600 years, Glamis, is known as “the most beautiful castle in Scotland”. We park up the bikes here for a guided tour of the castle and its stories, tales and secrets. A relaxing lunch in the restaurant follows before we continue our journey, traversing the low-lying Sidlaw Hills en route to our waterfront accommodation in the City of Dundee. This will definitely be one of the favourite days of the trip, with fast and generally flat riding through St. Andrews and the lovely coastal fishing villages of Fife. We’ll make an early start from Dundee, crossing the Tay Estuary and reaching St. Andrews with plenty of time to explore the ancient town, with its remarkable castle, abbey and golf courses. Following the coast we pass through several villages in turn; this is the East Neuk (or “corner”) of Fife. It’s incredibly scenic with the added bonus of this being one of the sunniest parts of Scotland. We finish our ride in the village of Elie, where we will enjoy a pint by the harbour, before a short transfer to our hotel in Aberdour. The final day of our Grand Tour takes us from Fife, across the spectacular Firth of Forth and into the city limits. We will ride on a cycleway right into the city centre. 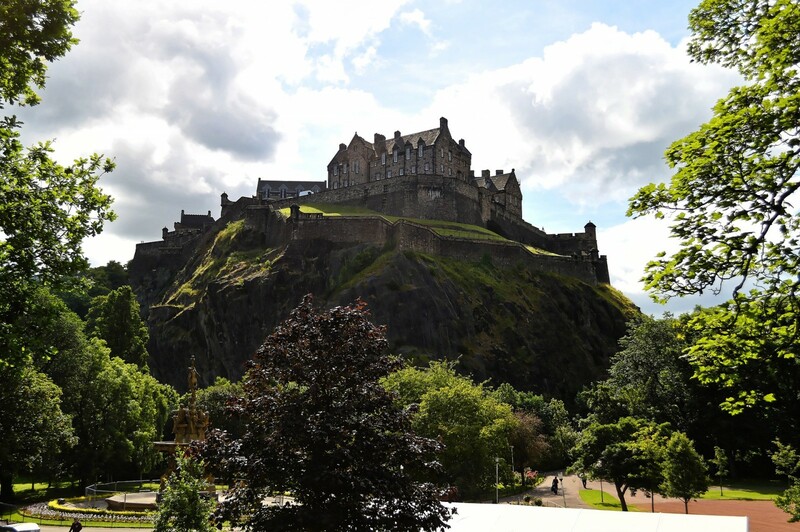 Here we will round the city’s Grassmarket and climb the road up to Edinburgh Castle for dramatic views across Edinburgh and the route we have followed over the past two days. All that remains is a ceremonial freewheel down the full length of the famous and historic Royal Mile, all the way to the Royal Palace of Holyrood. A fitting finish to a grand cycle tour of Scotland – feel free to adopt the royal wave for the crowds! The trip ends with a celebration lunch and drinks at a nearby restaurant before your guides depart and you are free to enjoy some time to yourselves this evening in the capital. This morning, you will be transferred to the airport for your onward connections. Have a safe journey home! A luxury hotel set in the beautiful Scottish highlands, the Kingsmill Hotel offers beautiful rooms, decadent dining and old fashioned Scottish hospitality. Conveniently located, here you feel welcomed and at home with gorgeous views and friendly staff. It is truly the perfect spot to top off your visit to Inverness! In the heart of Grantown-on-Spey stands the elegantly quaint Garth Hotel. This area is generally regarded as being one of the best preserved examples of an eighteenth century Scottish planned town. Surrounded by unique and individual shops, the Garth was built in the 1850’s and began its life as an Inn. Boasting a bar with a choice of real ales and up to 60 malt whiskies, there is also a cosy lounge with a real log fire, making The Garth Hotel the perfect place for a snack and a well-earned drink at the end of the day! Known for its traditional Scottish hospitality and lively music scene, the Deeside Inn makes every guest feel right at home with has a comfortable lounge, open fires and a welcoming bar with quality homemade food. The inn was originally built in the Victorian era, and with its décor and architecture, is still reminiscent of those days. There is always something going on at the Deeside Inn whether it be live music, outdoor activities or a social night at the bar. Be sure to look out for upcoming events during your stay! Glenesk Hotel is a Victorian property with 38 rooms, located in the beautiful village of Edzell, at the foot of the Angus Glens. This hotel is perfect for your stay, during your time in the highlands. Here, experience warm highland hospitality, comfortable accommodations and delicious, traditional Scottish dining with a selection of Scotland’s famous Malt Whiskey! Standing proudly in Dundee’s prestigious West End, Taypark House is an accommodation abundant with elegance and class. Constructed around 1863, this handsome house is set within stunning mature garden grounds and enjoys panoramic views across the Botanical Gardens towards the silvery Tay and the hills of Fife. With 14 individually designed bedrooms bursting with the character and charm of a country house hotel, the Taypark house is sure to be your favorite accommodation during your stay in the highlands! Located in the centre of the historic village of Aberdour, this hotel was originally run as a 17th century coaching inn. Now refurbished and modernized, the Aberdour Hotel is one of the finest resting places on the Firth of Forth. Surrounded by the peaceful and picturesque coastal village, the hotel has a superb reputation with locals and visitors for imaginative and creative Scottish cuisine. Our chef uses a fine range of fresh local produce which ensures that our customers have a memorable dining experience! Just a short walk from Edinburgh city centre, a UNESCO World Heritage Site this hotel offers beautiful views of Bruntsfield Links Park and The Meadows. Enjoy the quaint atmosphere and lovely in house dining, with the knowledge that your stay will be smooth and crease free!